A custom suite allows you to have your story told your way. Through illustration, typography, placement and material choices we work to evoke the mood of your wedding day and reflect the special nature of you as a couple. Every design we create is crafted with thoughtful attention to detail, incorporating aspects of you as a couple and your wedding day, to truly capture your unique love story. 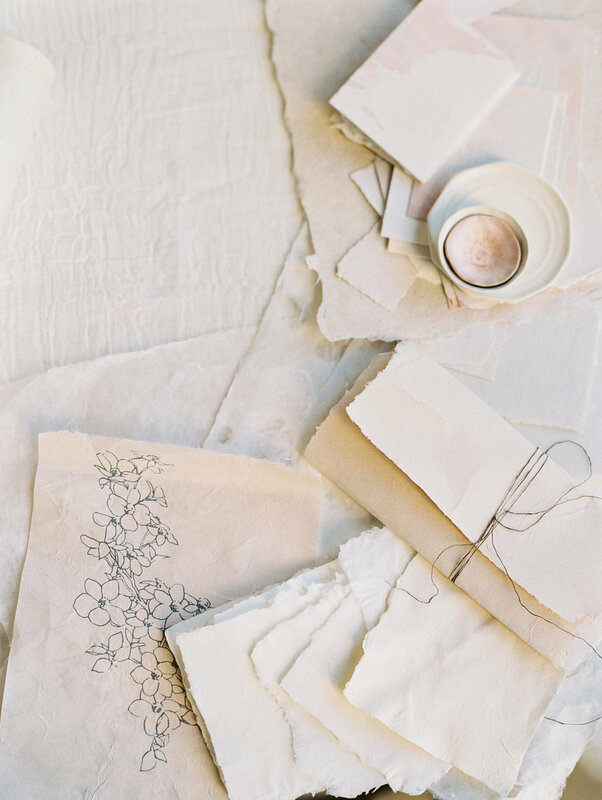 We want your wedding paper to be a treasure in itself that you and your guests hold on to well after your event is over. It is important to us that this process is an enjoyable one for you. You will be guided through every step of the way with our high level of personalised service and attention to detail. We know you have enough to worry about planning for your big day! Services not only included suites, but save the date’s and day-of details as well, such as menus, place cards or programs. This way, all of the paper for your wedding day works together perfectly to reflect the mood of your event. Our process begins with design consultation over the phone where we will get to know about your wedding day, your preferences and most importantly, about you as a couple. We will tease out what is special to you and how we might translate this into the design for your suite. We will then create a mood/design board to present to you of our ideas and inspiration for your suite. Once this is approved, we will move on to selecting your materials and creating the initial designs for your first proof. From there we will tweak and refine the suite through a series of rounds until it’s perfect. Once your beautiful suite design is finalised, we will work on its production, either in-house or with the best printers in the business. Please allow 6-8 weeks for this process, though depending on our schedule, we do sometimes take on rush orders for an extra fee. Your experience is extremely important to us. We’d like to assure you every small detail in regard to the execution of your custom suite will be thoughtfully considered and taken care of so you can relax and enjoy the planning process! Interested in having Mishku Studio create something special for you?